Success Universe Group Ltd, a partner in Macau’s Ponte 16 casino resort (pictured), has announced a HKD14.66-million (US$1.87-million) profit for its financial first half ended June 30. The result had already been flagged to the Hong Kong Stock Exchange and was the first interim profit since 2014. The company recorded a loss of HKD21.07 million in the corresponding period last year. Success Universe told the Hong Kong bourse on Thursday that its first-half revenue grew to HKD478.55 million from HKD272.97 million. It did not give a breakdown of financial performance for the casino. First-half earnings per share were HKD0.30. A year earlier the company made a loss per share of HKD0.43. The board did not propose any interim dividend. The company attributed the turnaround in its financial performance mainly to increases in the fair value gain on investment properties of the group and in the group’s share of profit of the associates relating to Ponte 16. A subsidiary of Success Universe recently agreed to buy commercial space in a building in Wan Chai, Hong Kong, for HKD106.8 million, adding to the group’s property portfolio. In its latest filing the company said the Macau gaming market had momentum in the first half, contributing to a positive environment for the operations of Ponte 16. Success Universe and a subsidiary of Macau gaming operator SJM Holdings Ltd are partners in the Ponte 16 casino resort. It is located on the Macau peninsula and operates under SJM Holdings’ gaming licence. First-half adjusted earnings before interest, tax, depreciation and amortisation in relation to Ponte 16 rose by approximately 26 percent to about HKD171.8 million said Success Universe. 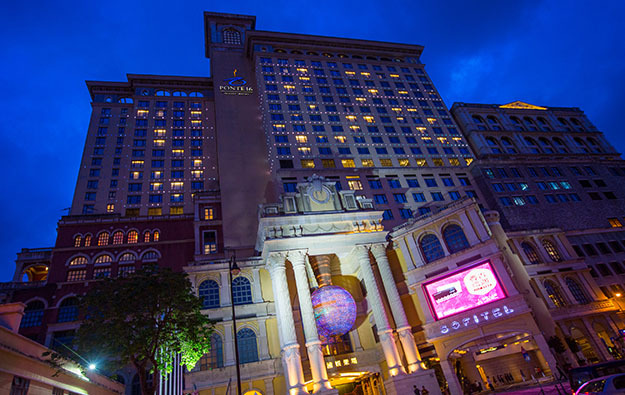 The average occupancy rate of the Sofitel Macau hotel property at Ponte 16 was more than 90 percent in the first half. At the end of the half the resort’s casino had 96 gaming tables for the mass market, seven high-limit gaming tables and six VIP gaming tables, Success Universe said.